A film doesn't need to be a box office hit to have an enduring legacy, as evidenced by genre favorites like Big Trouble in Little China and Behind the Mask: The Rise of Leslie Vernon. Fright-Rags has released new apparel from the pair of cult classics. 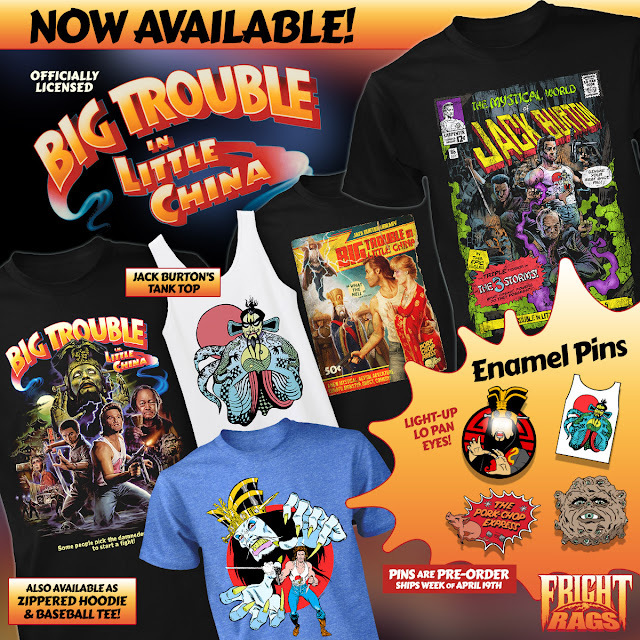 Ol' Jack Burton says to get to Fright-Rags for the Big Trouble in Little China collection, which features four new tees from the John Carpenter film, a replica of Kurt Russell's wardrobe tank top, and four enamel pins, including Lo Pan with light-up eyes. Paradise lost? 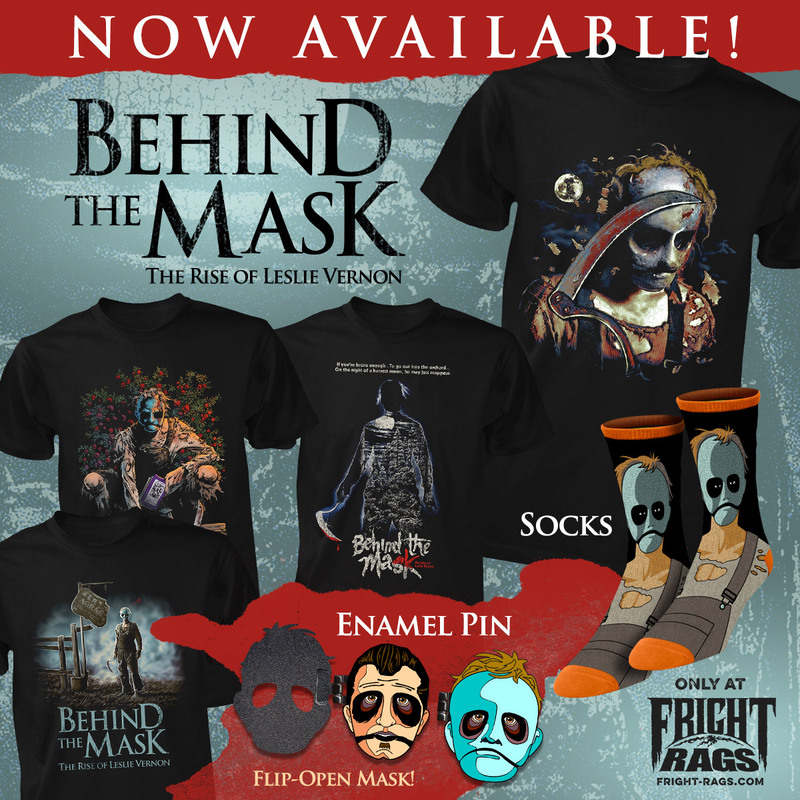 Fright-Rags found it in the Behind the Mask: The Rise of Leslie Vernon collection. It includes four shirts from the meta-slasher, including one that pays homage to Friday the 13th, along with a pair of socks and a flip-open Leslie Vernon enamel pin. Big Trouble in Little China and Behind the Mask: The Rise of Leslie Vernon collections are on sale now at Fright-Rags.com.